Katrina's Kreative Heart: Broadway Bound and Paper Pumpkin! 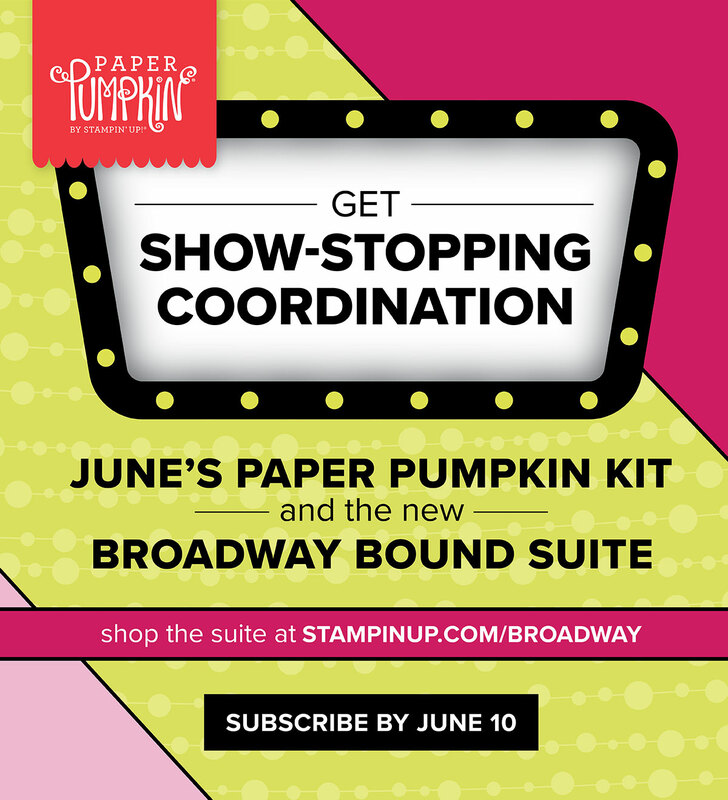 Broadway Bound and Paper Pumpkin! Hello and Happy Thursday! Wow, what a week! Is it just me? Thank goodness the weekend is coming..I really need a nap! Anyway, I wanted to share some pretty cool news with you. Stampin' Up! 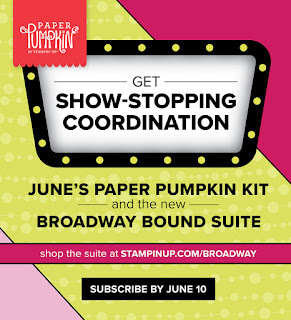 and Paper Pumpkin have come together to offer a bit of coordination from the catalog and the June kit! I know, right? Talk about opening up a whole new level of possibilities! Think about it, you receive this AWESOME, all inclusive kit in your mailbox that you can create UH-MAZING cards from, but then you open up the pages of this super UH-MAZING catalog and find all sorts of awesomeness that coordinates with your kit allowing you to take these projects to an entirely new level of amazing! There are several ways to enjoy Paper Pumpkin. First, there is a pre-paid subscription and those come in 1 month, 3 month, 6 month and 12 month and all you need to do is click your choice below this blog post! Then there is the recurring monthly subscription for $19.95 per month + tax (shipping is included). This ensures you never miss a month of your mailbox happiness! And again, it's very easy to sign up, just click here to get started. One of the benefits to Paper Pumpkin is that it's a great way to begin collecting some awesome, top quality, exclusive photopolymer stamp sets that you can use over and over again. You cannot get these stamps anywhere else. 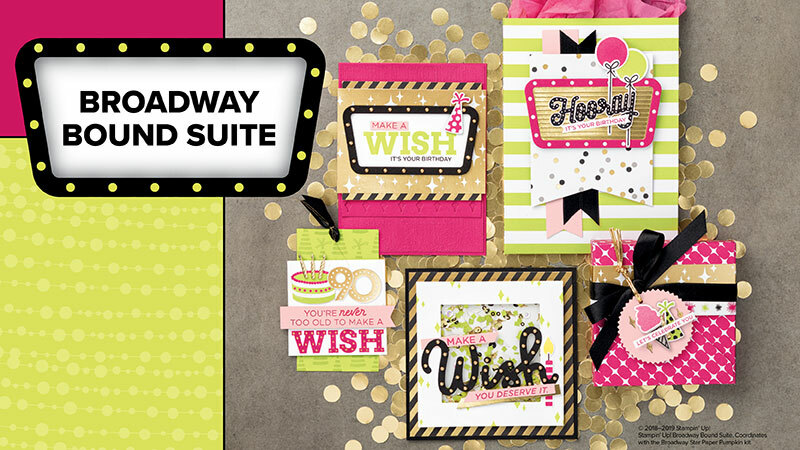 You will also begin an amazing collection of beautiful Stampin' Up! ink colors. You see, Paper Pumpkin won't repeat an ink color for 12 months at least! So that means at least 12 different colors a year (actually more - they often include 2 ink colors!) Another benefit, your kits are self contained, chock full of coordinating product, that means no running all over the craft store or WalMart or any other store for that matter, looking for just the right color to match and it's delivered to your front door....HELLLLLOOOO, that alone makes it AWESOME! Benefit #4. All the boring prep work is done for you! There's no measuring cardstock to cut the right size blah blah blah! It's all done. Open the box and begin creating! Benefit #5. It's flexible. Suspend your subscription any time you need to, it's no big deal. (But you won't ever want to) Benefit #6. Get access to my Paper Pumpkin Facebook group. This is a secret group for just my subscribers! If you have any questions regarding Paper Pumpkin, please reach out to me and I will get you an answer. I would love to have you join the Paper Pumpkin adventure with me.